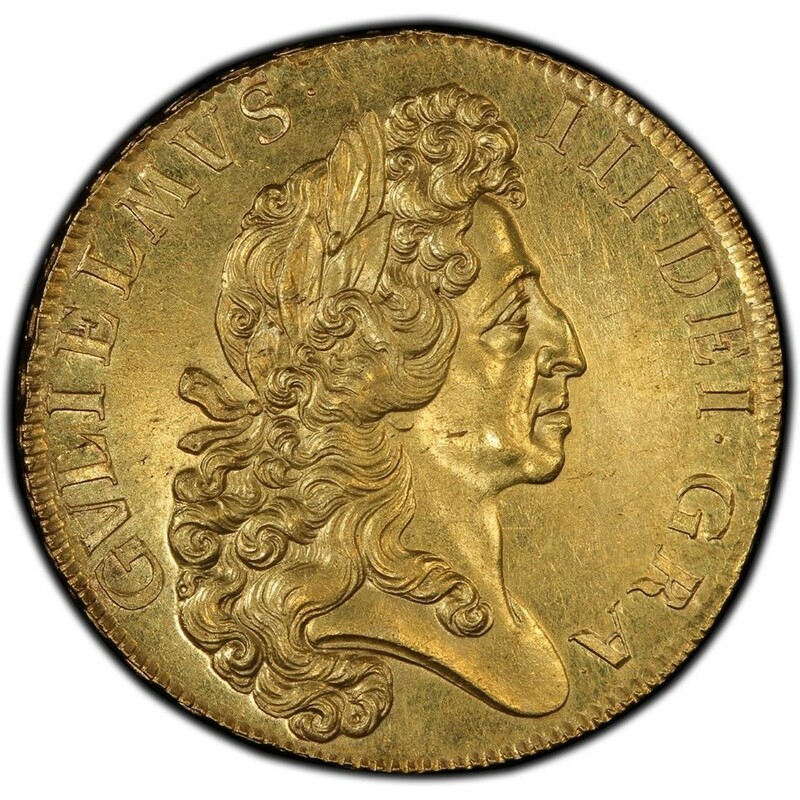 This 1701 5-Guineas Mint State 63 solid gold coin was purchased recently on March 15th, 2017 at auction1 for £114,000, last time a similar rarity came up for sale was in September 2014 at auction2and sold for £48,000. We have four of these highly sought after coins but only ONE graded Mint State 63 (One of only six graded at this level, worldwide). Read the full story behind the William III 5-Guineas Gold Coin our our blog. 1) See the March 15th 2017 Auction (Please note that the sale price of £95,000 plus 15% buyers fee is £114,000. 2) See the September 2014 Auction (Please note that the sale price of $52,500 plus 15% buyers fee is $48,000. 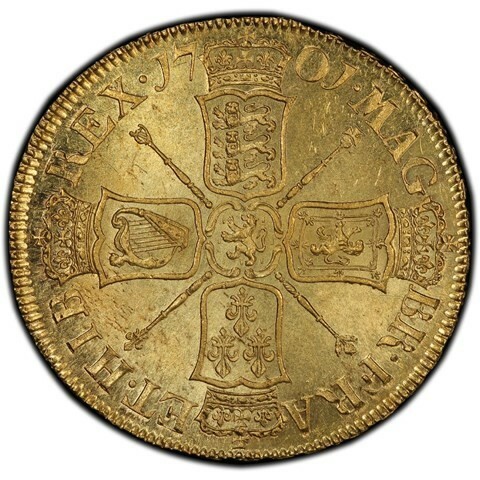 This 1701 5-Guineas Mint State 63 solid gold coin was purchased recently on March 15th at auction for £114,000, last time a similar rarity came up for sale was in September 2014 and sold for £48,000. We offer the EXACT same coin for the special introductory sale price of £105,000 to a new client, high demand will certainly push this beautiful coin well over £125,000 in the coming months. Viceroy Coins has four of these highly sought after coins but only ONE graded Mint State 63 (One of only six graded at this level, worldwide). 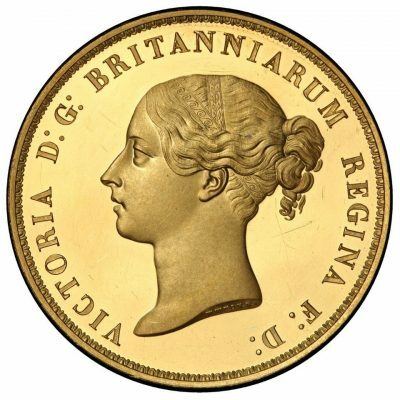 Contact us now to take advantage of the huge surge in demand for Great British Major Coin Rarities.